People prefer to remain at home. Whether you’re an elderly person that needs a little assistance around the house in order to remain independent, a person with a medical condition that can stay at home with visiting nurse or remote monitoring check-ups, or recovering from a surgery or accident and require physical or occupational therapy, a privately paid home care or federally certified home health agency can help. Several members of the Home Care Alliance care for children with, at times, severe medical conditions. Pediatric home health care can give families peace of mind with services provided in the home, which is the most comfortable and familiar setting for a child. There is a range of services, from maternal & child health to hospice care, all provided by home care and home health agencies to help families care for loved ones in the least restrictive place. Home health offers a strong value proposition for policymakers, especially in an era of health care reform and system transformation. As the Medicare population grows and the baby boomers age, increasingly the emphasis will need to be on helping seniors to maintain independence at home. Remaining at home is not simply a patient preference, but it is also a fiscally efficient option for public payers as home health care can prevent or delay hospitalizations and facility-based care that drive up costs. With solutions like home telehealth and innovative chronic disease management programs, home health care improves health outcomes and can further reduce the burden on Medicare and Medicaid. Higher patient satisfaction and reduced costs are both key parts of the value equation, but home health agencies are also masters of quality. The comprehensive and compassionate care provided by member agencies of the Home Care Alliance rank above the national average in most quality measures on the online Medicare Home Health Compare tool. Many of the state’s non-profit Visiting Nurse Associations have a century or more of experience in delivering quality health care and established a tradition of developing innovative services alongside hospital and system-based home health agencies. Many of these agencies work with patient-centered medical homes to help physician practices manage patient health at home where they spend most of their time. Home health care is proven to reduce re-hospitalizations and increase adherence to medication regimens. 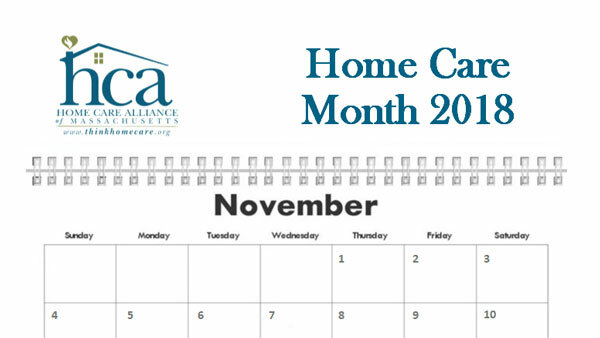 With 40 years of experience, and more than 150 agency members from Provincetown to the Berkshires – and everywhere in between – the Home Care Alliance of Massachusetts has the resources and information you need to answer your home care questions.